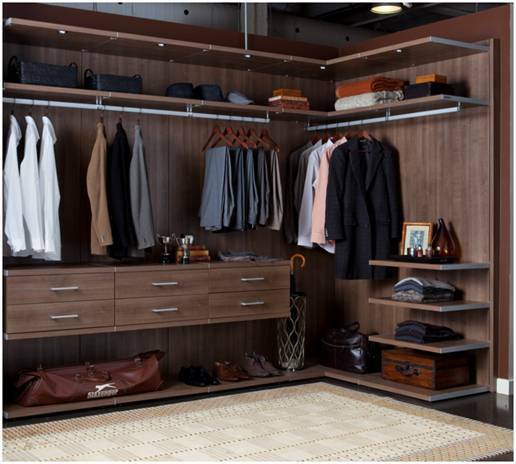 No need to be embarrassed if you are unsure about what garments you should be hanging up or folding. You would be surprised how many men neglect the basics. Here’s a quick run through of what you need to know and whether your clothes belong on a rack or in a drawer. 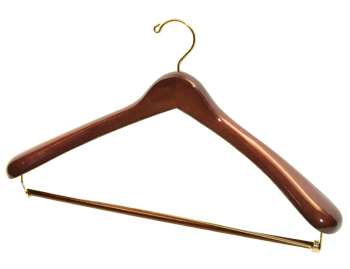 It is probably a good idea to invest in some decent hangers for your suits. Ones made from solid wood with a strong bar across the middle will work best. Make sure you avoid hanging your suit pants on any hanger with clips. There is no hard and fast rule as to whether hanging or folding your shirts is the best option. There are men who swear by hanging, and others who prefer to fold. This one has more to do with preference and the space you have available. A creased, shabby looking tie can completely ruin an otherwise slick outfit. 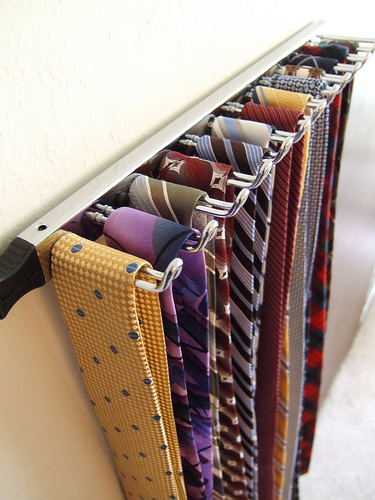 Ties should most certainly be hung on a tie rack to keep them firm, crisp and wrinkle free. A good rule of thumb for your pants is to drape them over your hanger about a third of the way up the leg. This will keep the crease looking defined and avoid unnecessary wrinkles. Neatly folded T Shirts and Polo’s will allow them to keep their style and shape for longer. They can reside happily in a drawer instead of on a hanger. It is important to gently fold your jumpers and sweaters, especially those made with wool. Hanging such items will guarantee a loss of shape. Better to place them in a drawer or on a shelf. We certainly aren’t going to suggest they need to be ironed and dealt with so gently, but underwear such as pyjamas, socks and boxers belong in a drawer and not on a hanger.